5 Kitchen Trends For 2013: Are They Right For You? 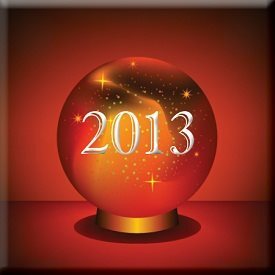 It’s always interesting to dust off the crystal ball early in the year and take a gaze into the future. At least that’s what designers in the building and remodeling industry try to do. Of course not everyone’s crystal ball is tuned in to the same frequency. And naturally, just because someone says something is going to happen is no guarantee that it will. Still, designers try to keep their fingers on the pulse of the public so that they can give homeowners what they really want. Here are a few of the trends we see developing. Whether or not they’re right for you—only you can decide. It’s still fun to consider them! There are lots of potential trends out there, but here are five that you may find interesting (and useful). 1. Kitchen sinks with style. Some designers are noticing a move away from the traditional double sink in the kitchen in favor of a single sink that is deep and wide enough to accommodate large cooking sheets or even roasting pans. As far as materials go, quartz composite sinks are becoming more popular, but stainless sinks still rule the kitchen. 2. New backsplash material. 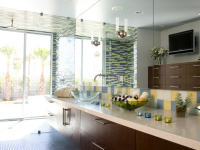 Although tile remains very popular as a backsplash material—because it offers so much versatility—more homeowners are exploring the possibilities that glass/stone/tile composites offer. They add a depth and luster that conventional tile can’t match. 3. Clean-line cabinets in the kitchen. There seems to be a move away from design elements that require a lot of maintenance. That applies not only to the materials being used, but also to a cleaner, simpler, less-cluttered style. 4. Designing for the long haul. As an increasing number of mature adults make plans to stay in their homes longer, there is an increase in designs that help people age-in-place. While it doesn’t ignore style, there is an emphasis on comfort, functionality and safety. 5. On-going green. It’s obvious that environmentally friendly, sustainable design is here to stay. Homeowners want a healthy living environment that is free of toxins and harsh chemicals. That includes using materials with low VOC (volatile organic compounds) in order to improve indoor air quality. There are always news developments popping up all the time—and we try to keep tabs on what’s happening so that we can pass them on to you. Of course, just because something is a trend, doesn’t mean it’s necessarily right for you. If you have questions, shoot us a note. We’d be happy to help you find solutions that fit your specific lifestyle. Should You Renovate Or Move House? It’s time for a change when you find yourself paying for utilities for spaces you don’t use, while your teenage children hang out in the garage to have their privacy and your elderly mother hogs the dining room with her bridge club. The question is whether to move and try to find that dream home you want, or to renovate/remodel and adapt the home to your current needs. 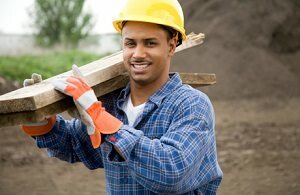 Use the following criteria to figure out whether you need to find a home builder or remodeler, or build a new home. The way to a man’s heart is through his stomach, or so many people believed at one time. True or not, food is such an integral part of our lives that the kitchen is by default one of the main hubs in most homes. 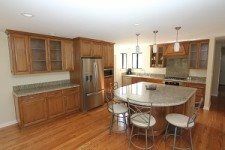 Real estate industry experts report that kitchen remodeling is one of the most effective ways to enhance your living space, add convenience to your lifestyle and increase the value of your home. Open up the space in your bathroom by adding a window or mirror wall. Most bathrooms have an external wall, which is often completely closed without even a tiny window. Break out the wall and replace it with a floor-to-ceiling glass window wall overlooking your garden, if possible. If your bathroom overlooks your neighbor’s living room or kitchen, however, it might not be such a good idea. In that case, a full length, full width mirror gives a similar effect. For ground-level bathrooms, opening up the room with a set of French doors leading into the garden really gives you the experience of bringing the outdoors in. Make it private with a screened off mini-garden where you can dry off au naturel when the mood takes you, or let it be an alternative to your summer tanning with refreshing cool showers. Spa baths have been around since Roman times, and we still love them just as much as we did then. More, actually, because now you can install a whirlpool tub with jets and benefit from relaxing soaks, rejuvenating steams or therapeutic jet massage. If you have the space, why not consider installing a bath big enough for two, so you and your significant other can relax together? And if you don’t have a big enough bathroom, toss out the bathtub completely in favor of a huge shower with a sculpted seat for convenient lounging in the water. There’s always a need for storage, even in the bathroom. Extra towels, luxurious bath and body lotions—you name it. Include sufficient storage in your bathroom remodeling process by installing spacious under-counter storage cabinets, shelves that stretch to the ceiling and decorative corner cabinets. Try “floating” glass shelves at odd intervals in the wall above the bath—the clear transparent look prevents the wall from becoming too cluttered. Tired of the old white and beige walls in your bathroom? Generate some interest with unusual color combos such as royal blue and grey paired with white fittings, or walls that match the color patterns in a marble floor. Mix pastels with brights and lights with darks to get a fresh, modern look or a glamorous 50s feel. For an authentic appeal, combine period pieces with colors and finishes that were popular at the time. Buying a fixer-upper is the dream of many prospective homeowners who don’t have the funds to buy the home of their dreams. You pick up a property on the cheap and spend time renovating and remodeling it until you’re able to move in and enjoy it, or sell it at a profit. It’s not always as lucrative as you’d expect, however, because of hidden faults you only discover when you begin fixing it up after the purchase. “Aging in place”—that’s the terminology used by government and other authorities for people who choose to stay in their own homes as they reach their senior years. If you’re getting on in years or expect an elderly relative to move in some day, it’s smart to start thinking about the future when you’re planning a home remodeling project. You can implement carefully planned changes a step at a time and avoid major expenses and inconvenience at a time when you’d rather be enjoying your retirement. A poll conducted by Angie’s List in May 2012 showed that 37% of people accessing the website are considering remodeling to provide for aging. Remodeling a patio can help you update a tired, under-utilized outdoor space and turn it into a perfect hot spot for summer pool and BBQ parties. From built-in BBQs to pizza ovens, it’s possible to extend your living pace and create your ideal entertainment area with a home remodeling project. Don’t be afraid to dream big—this is the kind of project you can grow into over the years, doing a little at a time. As long as you have an overall plan and a home building contractor who understands what you’re trying to do, you can implement it in stages that fit with your budget. Are you wanting to update your home and bring some new life to it? Dreaming of an open spacious kitchen? Or may be you would just like to remove that pink tile that was installed in the bathroom when your house was built in the 1950's? So where do you start? Follow these guidelines and you will be well on your way to having your dream house become reality.